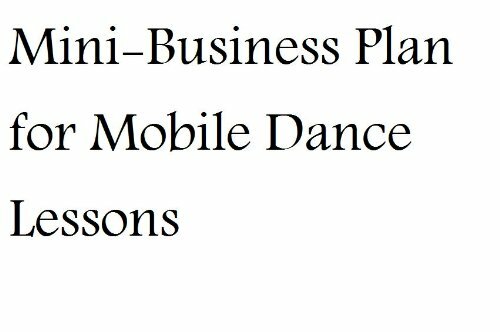 This digital document is an article from Dance Magazine, published by Thomson Gale on May 1, 2007. The length of the article is 1135 words. The page length shown above is based on a typical 300-word page. The article is delivered in HTML format and is available in your Amazon.com Digital Locker immediately after purchase. You can view it with any web browser. Title: Teaching tots: Beverly Spell introduces ballet with imagery and stories--and a sequential lesson plan. When you were a young child your grandparent's house was the escape from all your chores, rules given by mom and dad and whatever else was going on in your world. You never really knew exactly what grandma and grandpa's job use to be because to you they were always elderly and retired. Then the older you got the more their life story unfolded and you started to look at the in a different light. In this book their grandpa became a real person with talents beyond belief who use to take the stage every night and wow his fans with his wonderful dancing ability. The illustrations in the book allow you to really imagine the textures of the furniture in their living room and gave great attention to detail in the way they drew the tv, the colors on grandpa's clothing and the stairs leading to the attic. When grandpa started to dance on the wood floor you can just imagine the slapping of the tap shoes on the floor going tap, tap, and tap. In that moment grandpa forgot his age and became young all over again. This story teaches us to find that inner kid in us and to never lose sight of who we used to be. ISBN 0590430092 - Only once before did I wish for a special sixth star... this one deserves at least that many. I read a lot, and a lot of kids' books. Among them, there are always books that are really good, even great, and those get 5 stars. Then there will come a book like Song and Dance Man and I almost regret doling out a 5 star review to other books that don't quite reach the same level as this one. Three children visit their grandparents. Grandpa tells them, as he has before, about the good old days, when he was a song and dance man on the vaudeville stage. While Grandma makes dinner, Grandpa takes the children into the attic where he has a trunk full of old costumes and props. The children watch as their grandfather performs, tap dancing and telling corny old jokes that they've heard before but still make them laugh. When the show is over, the children applaud and Grandpa packs away his things... for next time. Grandpa assures the kids that he wouldn't trade a day with them for a million good old days. The text, by Karen Ackerman is descriptive and draws you right into the story and, from there, right into Grandpa's past. This is a fantastic story, especially good for grandparents to read to little ones. Illustrator Stephen Gammell is one of those people whose work you come across now and then without knowing his name and he always seems to do a job appropriate to the story. Here, the illustrations are mostly bright and colorful, like many childrens' books, but Gammell still manages to work darker shades in where they belong (like in the attic). There's a feeling of motion in many of the images that captures everything from Grandpa's dancing to a group hug. Neither Ackerman's story nor Gammell's illustrations would be half as good, or even feel complete, without the other. I am a K teacher.My kids enjoy this book during our family unit.My 3 yr old boy enjoys it as well.In a world full of copy only talent, this book allows for discussion about music, dance, performance, stage, arts, musicals, and of course, grandparents.The pictures are captivating making the kids want to investigate the pages closely, and they prompt questions.Again, it's a very sweet and meaningful story. 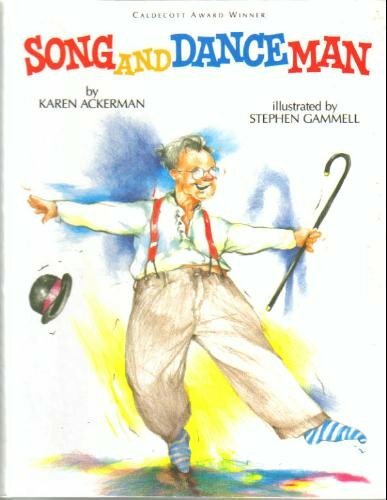 This book is a great book.It is about a grandfather who dances and sing for his grandchildren up in the attic.The part I like the most is when the man dances really fast it makes music and when he spins and jumps up into the air. I would reommend this book, because it is a fun book to read. - stay current with national physical education standards. 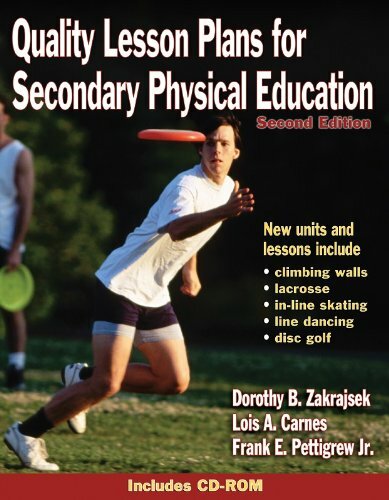 Quality Lesson Plans for Secondary Physical Education, Second Edition, provides the most comprehensive menu of lesson plans to spice up your secondary-level physical education curriculum. 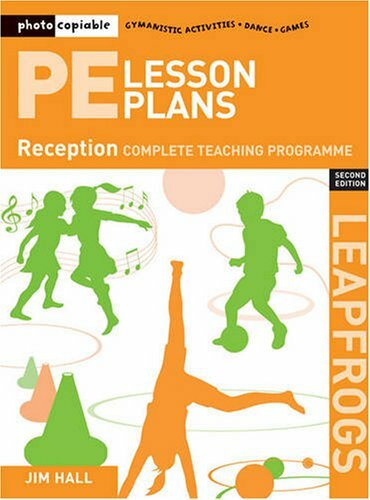 The new edition of this already-popular book is packed with more than 500 physical education activities in 200-plus ready-to-use lesson plans. Additional updates include instructional assessment tools for ongoing evaluation in each unit; a CD-ROM with PE-4-Life advocacy materials; a credit-based, individualized study unit; and handouts and worksheets that will help you expand and enrich the physical education experience beyond the classroom. - activity suggestions and modifications to help you customize lessons to involve learners of different ability levels. 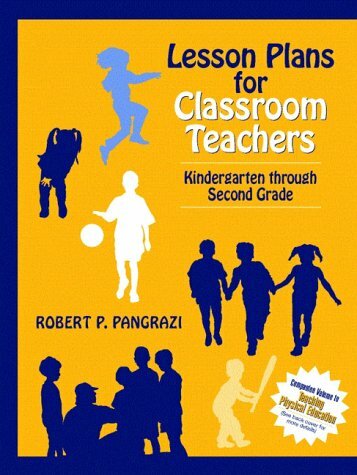 Quality Lesson Plans for Secondary Physical Education, Second Edition, is a gold mine for physical education teachers. 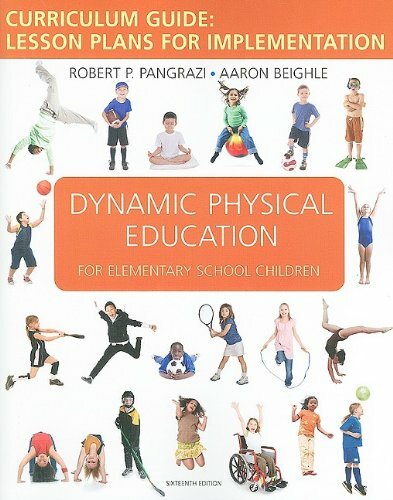 The new units in the book not only reflect the current standards in physical education; but they also help you make physical education fun for students. Use Quality Lesson Plans for Secondary Physical Education, Second Edition, to provide the highest-quality programming for your students and turn kids on to physical education. Good book for teachers/coaches in the middle school/high school level! 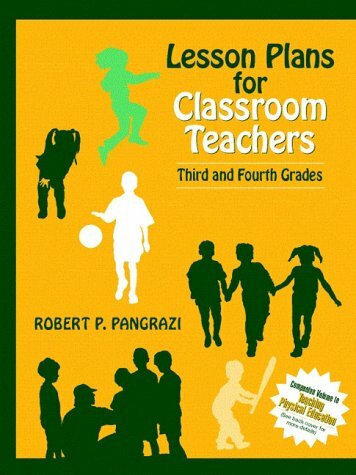 This complete guide provides instructors with a variety of lesson planning tools including objectives for each unit, benefits, necessary equipment listings, instructional activities, and quizzes and tests. 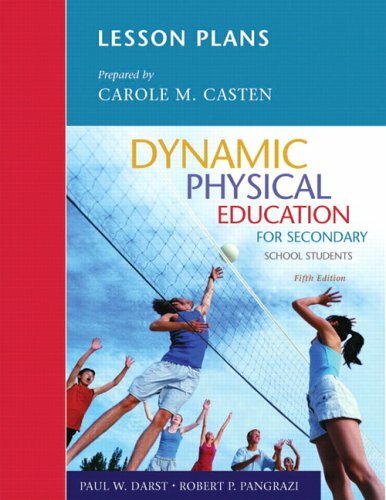 I think this book is a great resource for the high school P.E. teacher. I gave it four stars because because it is a great resource! I didn't give 5 starts because these work really only if you have all the needed materials. It would be even better if it gave alternative ways to teach the different sports or more sport/activities that are more accommodating to smaller schools or non-public institutions with less money. New Teacher? This book helps! However, for new teachers or to teach at beginners' level, I have found it a bit weak in some areas. For these teachers or beginners' groups, I would like to suggest "Amaya Felices' The teacher's book". It is very similar. I have seen that there is a new edition so I presume the author has reviewed it. I suggest to have a look at it. Taaj has outdone herself on this book right down to the fabulous book cover. 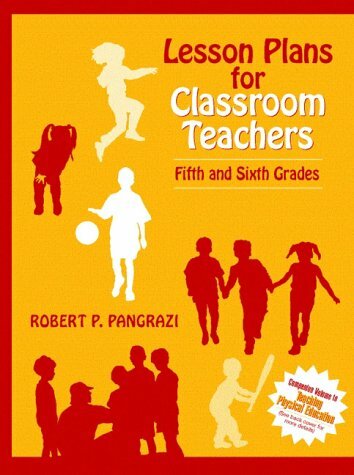 This book is an excellant resource for teachers and students. 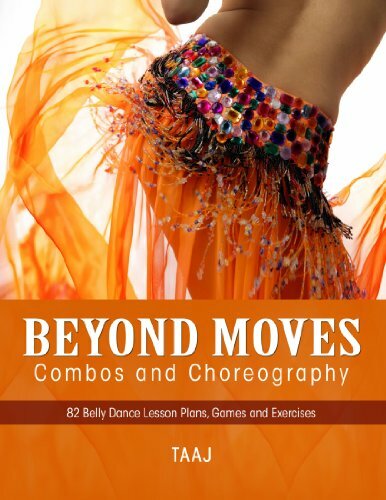 It is well written and easy to understand, I like how it covers exercises for beginner to advanced and can't wait to use some of them myself. 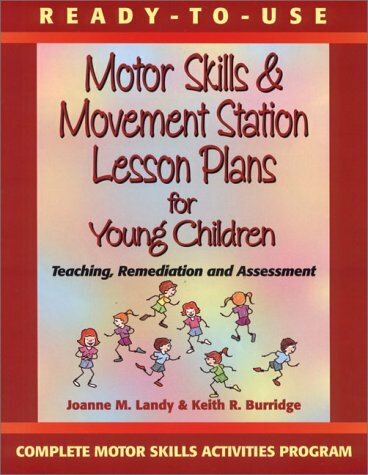 This book is ideal for anyone who teaches physical education to children.It provides the reader with goals, teaching progressions and various activities that will help the children to reach the goals that have been set.Motor Skills & Movement also provides instructors a way of allowing children to move by setting up movement stations causing a more challenging and creative enviroment for the children. I have recently been selected to be the Athletic Director for a private school and I was told that I would be responsible for overseeing all students who participate in our athleitcs as well as to come up with a physical education curriculum for those who do not participate in the sports.I also was told I would interact with the elementary physical education teacher to help with developing a curriculum too.I bought this book for that, and I was really amazed on how well this book is.It breaks it down into three levels:Kindergarten to 2nd grade, 3rd to 4th grade, and 5th to 6th grade, and has lesson plans for 36 weeks.It breaks the plans down to the objective, instructional activities, fitness devleopment, lesson focus, etc.It will make my job a lot easier.Now, I need to find a book just like this for the middle school program.This book also has tear out pages, if you wish to put it into a binder.Very good book! 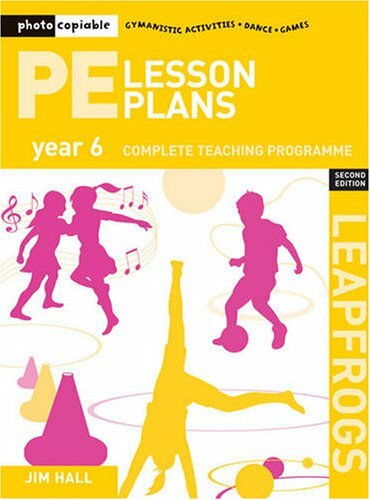 This is an absolutely terrific resource for all P.E. 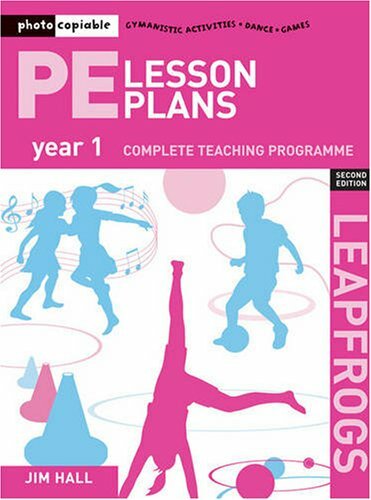 teachers.The lesson plans are easy to follow and it maps out exactly what to do for each lesson.I have the lesson plan book - thirteenth edition.This sixteenth edition was almost exactly the same.They took out relay activities and added in pedometer and fitness skills in a few lessons.If you have an earlier edition, I would not bother buying this new one. Very happy with this product as it was shipped timely and in excellent condition, as described by seller.